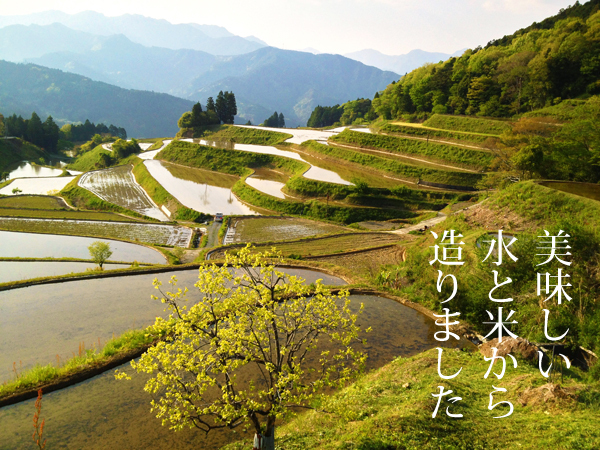 The Aikawa region (in Tosa-cho, Tosa-gun, Kochi-prefecture) has produced rice for a long period on “Tanada (rice terraces)” in the mountains. Aikawa is located at an altitude of 350-600m. The temperature difference between day and night is approximately 15℃. This region is abundant tasty water and fresh air. Farmers in Aikawa have grown rice for this SPECIAL JUMMAI sake carefully. Please imagine the beautiful Tanada scenery and you will enjoy much flavor from this sake.